Our primary focus with client side project management centres around the basic principles of project management. 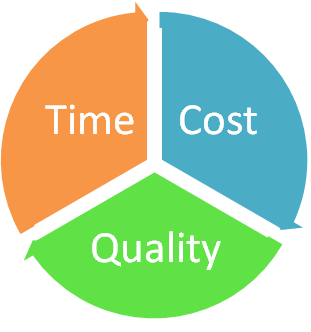 Here at Awesim, with every Client Side Project Management project our aim is manage the TIME, COST & QUALITY and we complete these tasks with ease. As a Client Side Project Management team, our role to is protect our client from the risks of building and construction, during the pre construction, construction & post construction phases. Coming from a trade back ground and followed up with a Diploma in Construction Management. We have the ability to see most unforeseen issues and being proactive to an issue and not reactive is the best solution. What types of Client Side Project Management projects do we cover? We have managed every thing from small maintenance in Residential & Commercial, Water utility structures, HealthCare facilities through to high rise apartments. Who hires our Client Side Project Management services? We have been engaged by Home Owners, Developers, Investors. What are our Client Side Project Management rates? This all varies pending on the flexibility of the engagement contract. We can and have worked on hourly rate, fixed rate or percentage. Is all about scheduling one party to interact with another in the most efficient manner, for example having the roofing tiling being installed directly after the fascia & guttering being installed, or coordinating architectural drawings prior to engaging a Hydraulic Engineer. Coming from a trade back ground we have the experience to estimate and produce an accurate construction schedule. Here we excel, Costs are derived from a budget. This is where most get the real cost of a project wrong. Getting the costs right at the start of the project will save your project suffering during the construction phase. We excel in formulating a Cost Management Plan, working from and creating feasibility budgets, through to construction budgets – Tender evaluations – Invoice Evaluations etc. By spend a bit of time at the start of the project, you will save money on the entire project. This is where our pride kicks in, we only accept work by others that we would expect in our own homes. Added to that theory we have developed quality assurance plans to manage most areas of work, with checklists for self assessment or external assessment. With proper Quality Assurance and creating works that exceed Australian Standards and the Building Code of Australia, this greatly reduces defects and liability of maintenance and costs after the project has been complete. At the end of the day, it is our role to take the stress out of the building process, dealing with the Builders claims for payment ,variations, quality inspections, getting the job done on time & within budget and ultimately reducing the amount of defects at the time of handover. If you require further information please call us on 1800 293 746, or click on the “Enquire Now” button above for your Client Side Project Management needs.